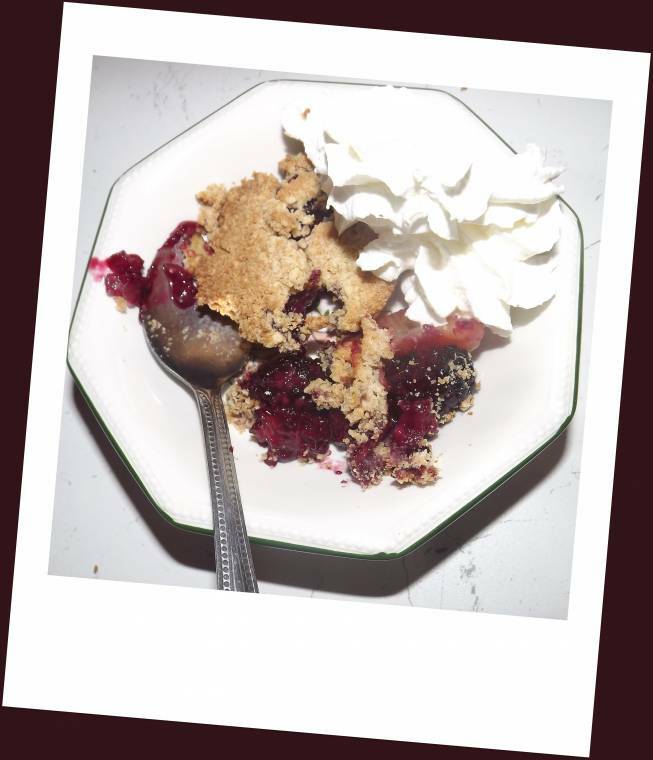 Creative Mondays Blog Hop Week 4 : Blackberries And Clementine Crumble…. I’ve been baking this week!! Pre-heat oven to between 180 -190c depending on oven,lightly grease 6 ramekins. Wash the blackberries and place in a bowl with the peeled Clementine, juice of a Clementine and teaspoon of sugar until ready to use. 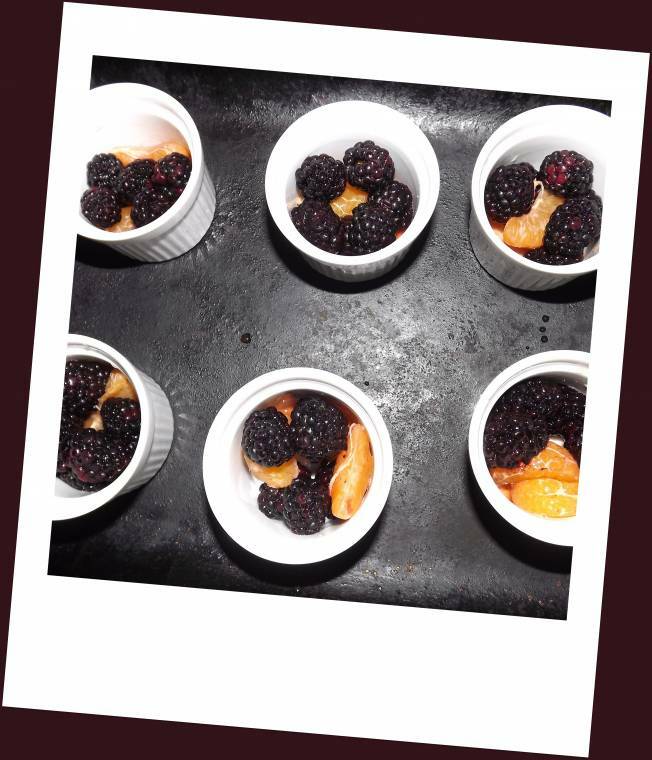 Spoon equal amounts into six small oven-proof ramekins and spoon a little juice into each. In a large mixing bowl sieve the self raising flour and rub in the butter until all mixed in, then add the muscavado sugar and stir well. Add on top of the fruit pots. Place In the pre-heated oven and bake for 20-25 minutes until golden brown and fruit is cooked. Serve warm with fresh cream,custard or ice-cream. If you have a blog hop please link it up in my blog hop pages. Please join us? link up as many creative post this week as you would like to. Try and hop by a few post on the list and leave comments there. Mention you are stopping by from this blog hop. Please link back to one of us at Creative Mondays or grab our button so we can make this party bigger and better each week. Follow us any way you would like but let us know so we can follow you back. Whats got you creative this week? Creative Mondays Blog Hop Week 4 is now closed. 30 Seconds To Save A Life…. "Chocolate and Amaretto Pana Cotta…"
I am on my way over….same me some. 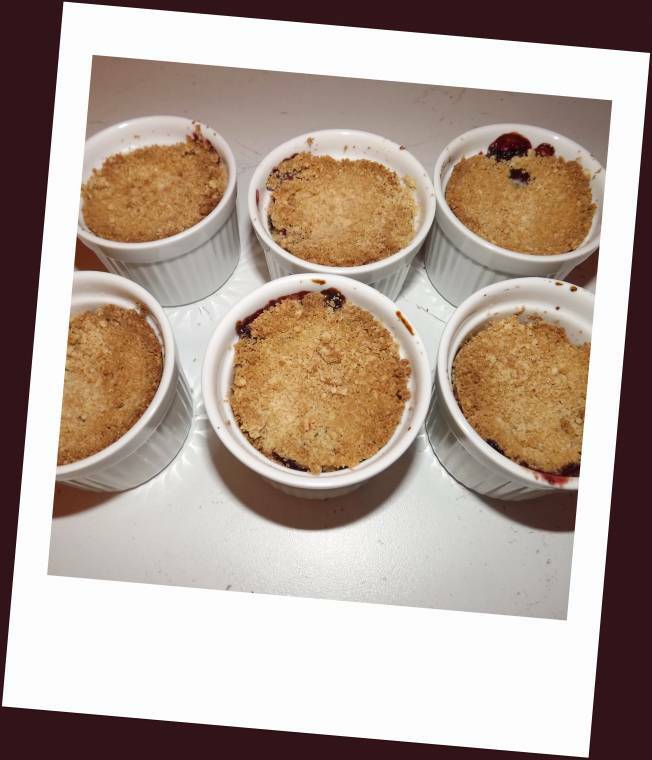 The photos and recipe are wonderful! Thanks for the visit. Looks delicious! Thanks for hosting! Can always rely on your blog for something yummy. Thanks for hosting again. These sound wonderful. Looks fabulous & so easy to make! Thank you for your recipe. I will put Clementine's on the grocery list – my husband does the shopping – I can hardly wait to see the expression on his face when he reads it and says "Clementines – huh?" This certainly looks delicious Clairejustine. I am sorry I wasn't able to link up this week. I will definitely be back next week. My life has been upside down and this past weekend was a very difficult one. I am working hard at getting my life back in order although it is not easy. Take care. Thanks for hosting! This is my first time joining the linking party and I will definitely come back next week. Thanks for hosting! Love this idea! It looks so yummy! I'm having a linky party as well, and would love for you to join it! Here is the link http://www.thesouthernproductqueen.com/one-stop-s… Thanks for sharing! That looks delicious! I love cobblers and made a mango one tonight for my husband's birthday (his request). Next time, I will try yours. I have already eaten a box of blackberries myself last week! I am on a blackberry kick. These look wonderful!